A literary critic by training, Richard Hoggart published more than 30 books and contributed to numerous policy documents. They continue to inform contemporary debates on a wide range of subjects, including popular culture, media literacy, educated citizenship, and social democracy. Born in Leeds in 1918, Hoggart was orphaned at the age of eight and subsequently raised as an only child by his grandmother, two aunts, an uncle, and an older cousin. His childhood was characterised by an austere way of life that often depended on unofficial acts of charity, goodwill, and fellowship: to fail to help one’s neighbours in times of need could result in their suffering and public humiliation, which could, in turn, all too easily befall one’s own family. This shaped an enduring attachment to working-class cultural ideals and social practices, and an emphasis on communal values and neighbourliness. Hoggart’s childhood also explained his commitment to ‘the sense of family attachment’. He recalled the relief he felt when it was decided that he and his siblings would be cared for by the extended family rather than being sent to an orphanage: ‘We were “family” and we stayed family.’ This sense of ‘belonging to somebody’ resonated strongly in Hoggart’s writings: family life teaches us to be empathetic; it broadens and enriches our social being and interpersonal connectedness. If ‘hearth and home’ was instrumental in shaping Hoggart’s deep-rooted sense of community spirit, the world of education and learning was to prove equally important. A local authority scholarship enabled him to take up a place in the English Department at Leeds university, where he refined his literary and analytical skills. Yet the experience also left Hoggart with a deep ambivalence and uncertainty. On the one hand, education provided unimagined opportunities for learning and upward social mobility. But the difficulties of being betwixt and between two social classes, the consequent sense of loss and self-doubt, left him feeling ‘anxious’ and ‘uprooted’. This deep-rooted sense of alienation led Hoggart to adopt the poet Matthew Arnold’s example, to be led ‘by a general humane spirit, by the love of human perfection’, to perfect one’s ‘best self’ not only for oneself, but also for the greater good. During five years active service in wartime North Africa and Italy, Hoggart became involved in adult education. He began to rethink the importance of literature (or, more precisely, literacy), particularly in relation to the rapidly changing milieu of popular culture in what is undoubtedly his most celebrated and important publication, The Uses of Literacy. 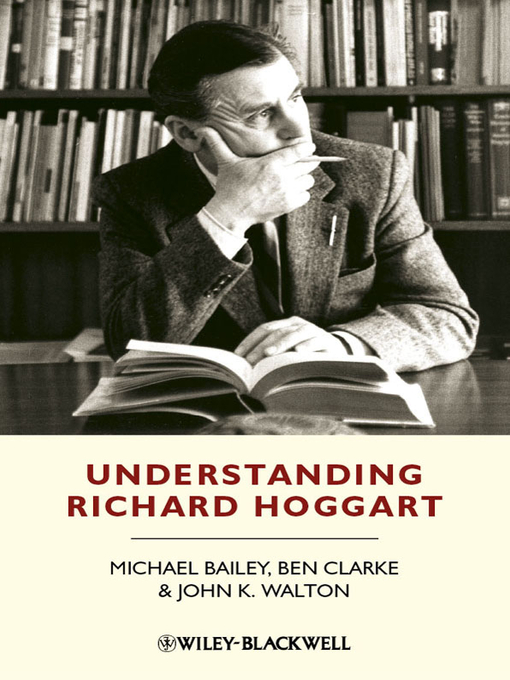 After brief spells as an extra-mural lecturer at the University of Hull, and as Senior Lecturer in English at the University of Leicester, Hoggart was offered a chair at the University of Birmingham, where he established the Centre for Contemporary Cultural Studies (CCCS) in 1964. The Centre soon established a reputation as a hotbed for critical theory, sustaining active, sometimes volatile, debates on Marxism, feminism, post-colonialism, and other politically engaged methods of analysis. Hoggart appeared on several occasions as an expert witness for the defence in the Lady Chatterley’s Lover obscenity trial in 1960. Hoggart famously declared the book (and its author D. H. Lawrence) as ‘virtuous’, ‘if not puritanical.’ He was widely celebrated as the person that had turned the case around in favour of the defence. The defining moment in Hoggart’s career was arguably the part he played in debating and influencing the recommendations of the Pilkington committee (1960-1962), set up under the chairmanship of British industrialist Sir Harry Pilkington to consider the future of broadcasting in light of the introduction of independent television in 1956. The resulting report severely criticised ITV for being too commercial and trivial in its programming; and it was largely because of this that the BBC was awarded a second channel. And while his general argument may seem dated, sometimes patronising, and occasionally contemptuous, his criticisms of ‘dumbing down’, ‘levelling’, ‘relativism’ and ‘popularism’, represent an increasingly important engagement with the idea of public culture as a primary facilitator of democracy. This is particularly important in light of the current political climate, where the governmental usage of financial markets and private corporations would seem to be the preferred technique for regulating socio-cultural relations and processes. A longer version of this article is available on the Open Democracy website.